April 2017, Ellerman House – Paul Bruce-Brand has been appointed as Ellerman House’s new General Manager. Prior to his six years at Seasons in Africa where he managed the Hollow on the Square Hotel and the Cape Town Hollow, Paul was an HR Manager at Sun International and an HR Practitioner at Anglo American. Paul is enthusiastic about building a unified team of motivated people working together to create an unforgettable and unmatched experience for guests. 5 star luxury boutique hotel & villas. Part of Relais & Châteaux. 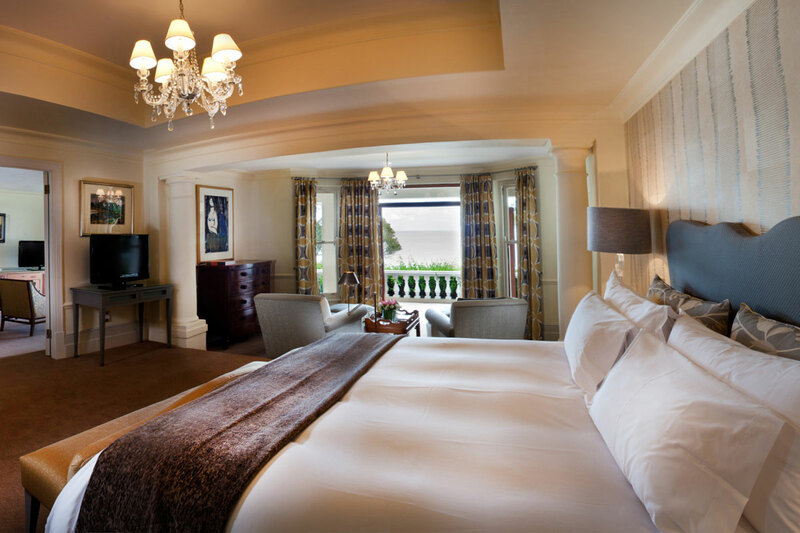 To offer the very best of South Africa to our guests. Affectionately known as the ‘Mother City’, it is easy to fall in love with Cape Town and imagine growing old with her. Built around Table Mountain, Cape Town embodies everything the nature-loving city-dweller dreams of. 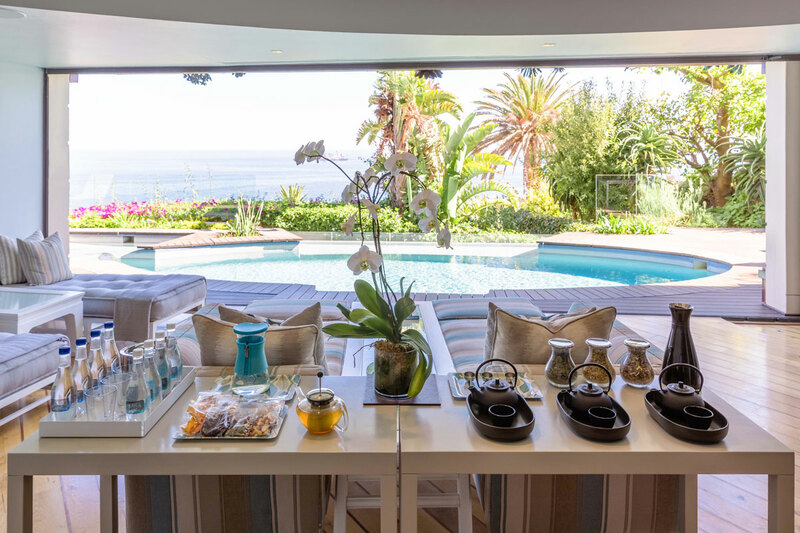 Situated in Bantry Bay, Ellerman House occupies an exclusive coastal location that remains a stone’s throw from Cape Town’s centre and the city’s numerous attractions. Two self-contained private villas and an intimate boutique hotel are spread out across one and a half acres of manicured grounds, all with views of the Atlantic Ocean. Previously the residence of shipping magnate Sir John Ellerman, the boutique hotel retains the estate’s distinguished pedigree, exuding refined elegance and a fine collection of antiquities. 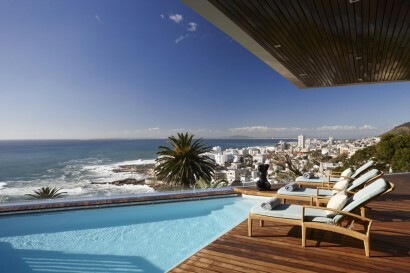 The villas, on the other hand, are an ode to Cape Town’s rising star as a design city. 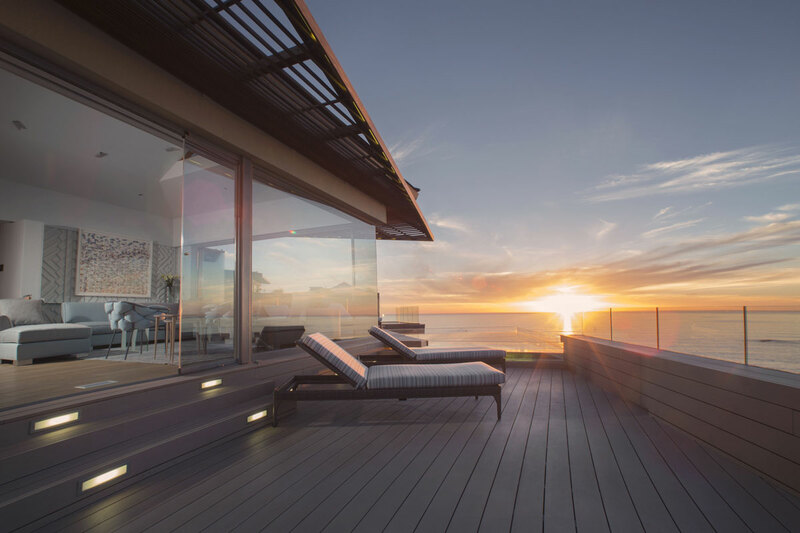 Perched over the sea, they draw their inspiration from contemporary aesthetics and modern architecture, offering open plan living with resplendent ocean views. You can expect nothing less than impeccable service and food from this Relais & Châteaux property. Beyond the confines of your guestroom, suite or villa, you can enjoy rejuvenating and holistic treatments at the spa, exclusive to Ellerman House’s guests, tuck into a meal with a focus on local farm produce and Cape Malay flavours at the main restaurant, or explore the extensive wine gallery, showcasing over 7,500 South African wines, and the Champagne Cellar, stocking only rare vintages of Dom Perignon. Further cementing its reputation as the place to be for the best South Africa has to offer. Ellerman House is also home to a carefully curated art collection of over a thousand works from South African artists, from the 19th century to present day. Ellerman House’s galleries shed light on South Africa’s past, present, and a glimpse of its future. Re-opened mid-June 2017 after refurbishment: bathrooms upgraded; new bar area; new terrace. 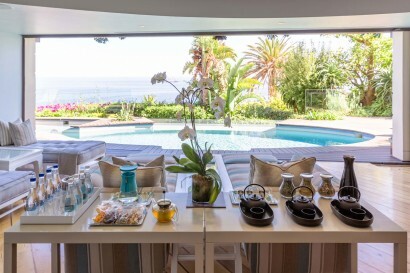 Offers an authentic South African experienceat every touch point for the guest – from the location to the art, the wine, the food, the spa, the gardens and the warm and genuine hospitality. 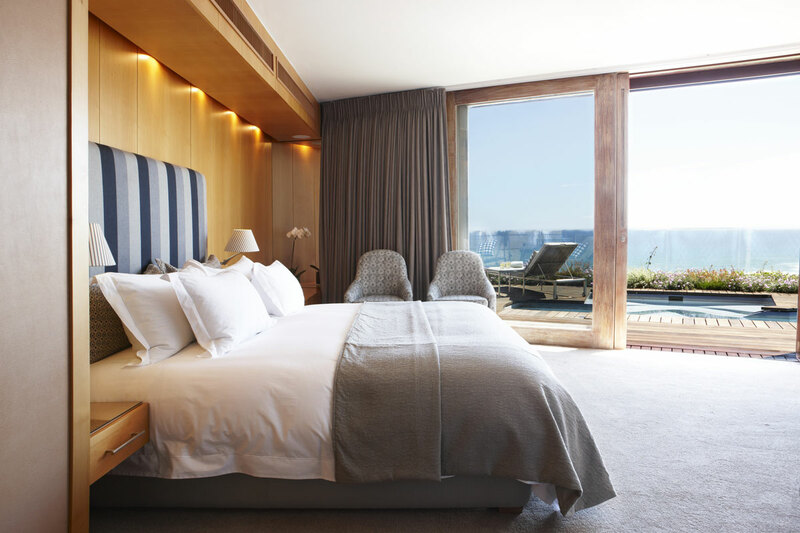 With an unbeatable setting, perched high on the hill in one of Cape Town’s most exclusive suburbs – Bantry Bay – Ellerman House has uninterrupted views over the Atlantic Ocean against the backdrop of Lion’s Head. 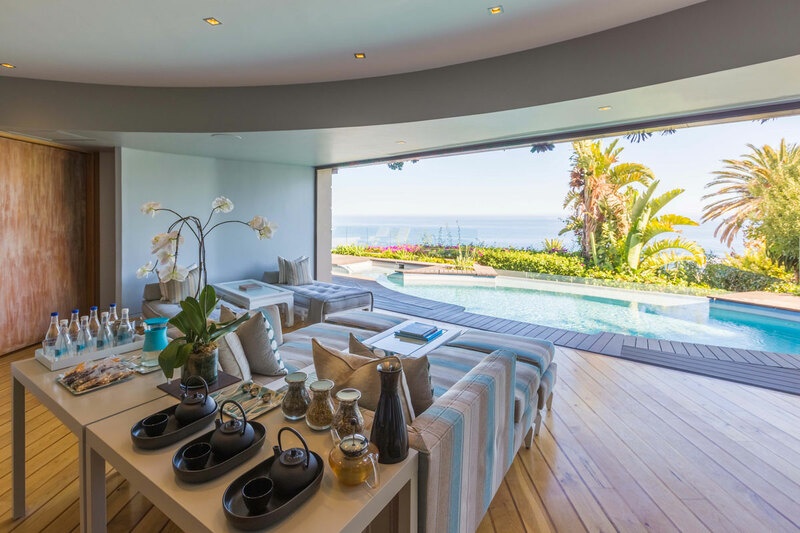 Clifton’s sheltered beaches are within walking distance, while local attractions such as the Table Mountain Aerial Cableway, Camps Bay and the V&A Waterfront are less than 10 minutes by car. 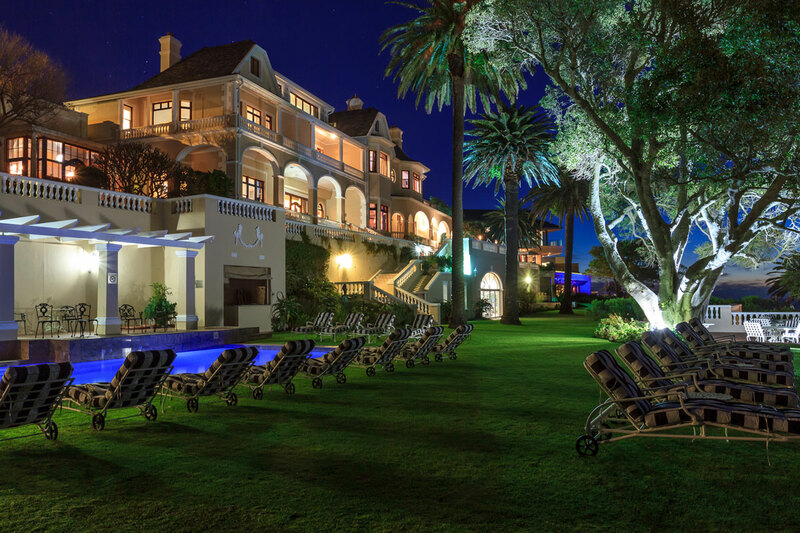 Book a Benguela Diamond safari – exclusive to Ellerman House guests – and dive for your own diamond! 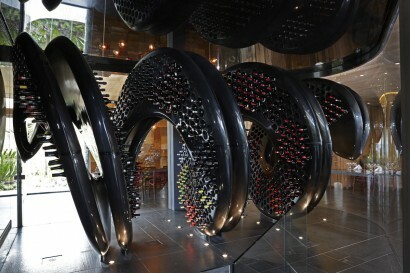 The Ellerman House Wine Gallery houses an enormous, carbon-fibre, corkscrew-shaped wine rack, plus a unique ‘terroir wall’ sculpture which is made up of rammed-earth soil samples from 100 wine farms. Incorporates an interactive multi-media wine library and Brandy Tasting Lounge.Learn all about cognac with the ‘Louis XIII experience’ conducted by Ellerman House’s sommelier, ‘Manny’. Villa Two has its own private cinema! 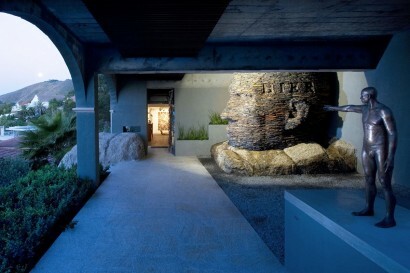 The art at Ellerman House is not confined to indoors – the gardens play an important role in providing outdoor gallery space for sculptures that form part of the contemporary collection. Villa One is perfect for multigenerational families, and can be configured as a three- or five-bedroom option. 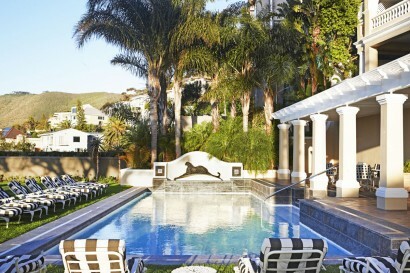 The Ellerman House rooms and suites and Ellerman House Villa Two welcome children aged 14 years and up. • Number of rooms, (keys) in all: 13 rooms and 2 private use villas. 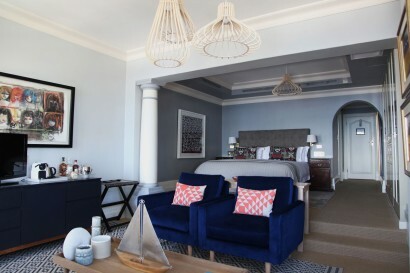 Extraordinary attention to detail has always defined the dining experience at Ellerman House and Grant Daniels brings his classically inspired style with a nod to his Cape Malay roots to guests at Ellerman House. Growing up on the Cape Flats, just outside of Cape Town, Grant’s passion for cooking was sparked by spending time in the kitchen with his mother while she prepared traditional Cape Malay dishes for Sunday lunch. Seasonal menus with daily additions will be created by the Ellerman House chefs with the best local ingredients available. From freshly caught seafood and crisp salads in Summer, to Cape Malay braised lamb shoulder and curries in Winter. “Stick to the classics and you can’t go wrong,” says Grant, who aims to create wholesome comfort food influenced by his traditional French training, while conveying Cape Malay heritage and a wealth of South African flavours. 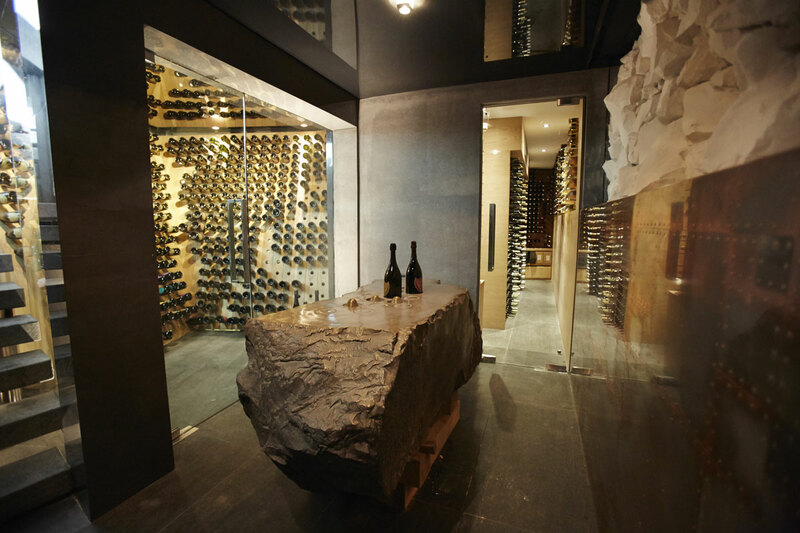 The restaurant at Ellerman House is so much more than a hotel dining room. “It’s a fully fledged restaurant experience in an exclusive, family owned hotel setting,” explains Grant. • With two single treatment rooms and one double room designed for couples, the spa specialises in cutting-edge massage techniques and anti-ageing beauty rituals drawing on the wisdom and restorative, healing techniques of different cultures from around the world. • In addition, there is a sensation shower, sauna and steam room for hydrotherapy. • A small, well-equipped fitness centre with its own sauna and change rooms is located beneath the main house for those who want to maintain a workout regime while travelling. There is also an outdoor, solar-heated lap pool tucked away on a private terrace. • The Wine Gallery can host small, intimate, private dinners or cocktail functions for up to 36 guests.